If we want a diverse, equitable and inclusive research community, academics from the global south must be able to meet freely, says Connie Nshemereirwe. 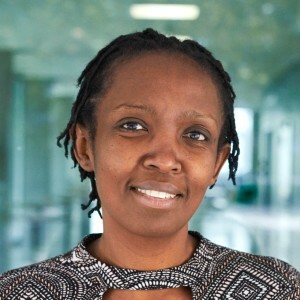 Connie Nshemereirwe is an independent science and policy facilitator, serves on the steering committee of the Africa Science Leadership Programme and co-chairs the Global Young Academy in Kampala. These days, I feel as though I live my life from one visa application to another. Last week, I was supposed to travel from Uganda to Panama. This was for my role as co-chair of the Global Young Academy (GYA), an organization focused on science education and policy that advocates for early-career researchers around the world. Instead, I’m stuck at home working on a long-overdue proposal for a research project on science leadership in Africa while filling in forms for the next trip, hoping for better luck. On 25 July, I contacted the closest Panama embassy (in South Africa), and learnt that I had to submit my visa application in person; that every page of my passport had to be photocopied and notarized; that anything scratched out on a form would invalidate my entire application; and that all my documents had to be translated into Spanish — including bank statements, the air ticket, the hotel booking and all invitation letters — by a certified translator (now, how was I going to find such a person in Uganda? Or pay them?). Visa problems present an obstacle for many researchers in the global south to participate in the broader scientific community. Earlier this year, a poll by the RAND Corporation found that African and Asian researchers are, respectively, three to four times as likely as European or North American ones to report visa-related obstacles for work travel (see go.nature.com/2z9dabn). With the US ban on travel for citizens of some countries, and Brexit in the United Kingdom, things will only get worse. My Panama experience is extreme, but not atypical. When I worked at a rural university, 100 kilometres from the nearest city, applying for a visa often wiped out at least 2 workdays: 1 day to gather all the documents required and to submit the package, and another day to go pick up the visa. That doesn’t count time needed to work out what each country requires, pick up certified bank statements, take the precise photographs required and coordinate proof of employment and invitation letters. Even when other expenses are covered, researchers (or their institutions) are expected to meet visa costs. These costs are punishing in light of the average Ugandan academic’s salary. My top take-home pay as a senior lecturer with a PhD from Twente University in the Netherlands, after 15 years in academia, was about 60,000 Ugandan shillings (US$16) a day. For me, a South African visa costs $36, plus $90 as a ‘processing’ fee; the UK visa costs $120 and takes 3 weeks. I paid about $100, plus bank-transfer charges, for the attempted trip to Panama. The Schengen (European Commission) visa is among the most forgiving: just under $70, with a 1-week wait. I was elected as co-chair in May, and have had to travel to seven countries — four to represent the GYA — between September and November. If all goes to plan, I will be in Japan when this column appears, a trip that required me to find a Japanese national, who could send me an official invitation; guarantee my adherence to the country’s laws; and have documents sent by post, because the embassy does not accept fax or e-mail. I have been to the Japanese embassy in Kampala multiple times, because I missed or misunderstood some details of the application (not all of which were explained online). On the same day that I read that disheartening e-mail from the Panama embassy, I received an invitation to speak at an annual conference of the InterAcademy Partnership — a global network of academies worldwide that work together on public policy — in South Korea in April 2019. Instead of elation, all I felt was the dread of having to decipher yet another sea of visa procedures, just because I am a citizen of Uganda. I appreciate that countries need to control entry, but common sense should rule. Applying for visas should not be a full-time job: there must be better ways for the academic and research communities to vouch for each other, and for governments to ease international scholarship. I’ve heard some promising ideas for reform. South Africa is considering creating a category for academic visas that would be valid for ten years. Colleagues in the GYA are working on a concept called the Global Passport for Scholars. We are also collecting stories of scholars’ visa tribulations to press the case (please e-mail yours to me). Yes, scholars face many more — and more-significant — barriers than visas: we lack job opportunities, access to funding and equipment, and have poor mentorship. Still, visa problems should be among the easiest to fix. In April 2019, the GYA will have its 10-year anniversary in Germany, and all 200 of our members, plus our 216 alumni — together representing 83 countries — are invited. Although we will make every effort to assist them with their travel, a good number will undoubtedly not make it, simply because they were born in the wrong country.